The popularity of adult coloring books has surged in recent years and today, you can find them on the bestseller lists of almost every bookstore and online seller. These coloring books—filled with beautifully intricate black and white illustrations—have provided a form of art therapy for many adults, offering a new way to relax, be creative and to meditate and practice mindfulness. 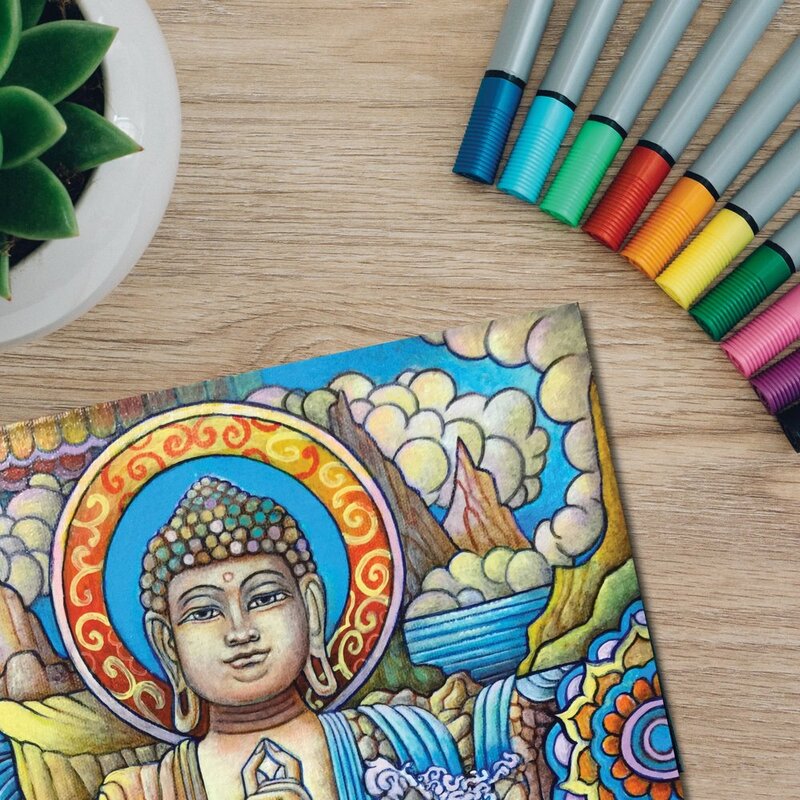 We are privileged to be working with Maui artist Matthew Smith, who has recently released his own adult coloring book, titled Color Me Buddha—Express Yourself to De-Stress Yourself. Here at Cake Media, we have been providing marketing support to Matt in the shape of Facebook Ads—developing optimized ad sets to raise awareness of his new book, pushing targeted users towards the Color Me Buddha Amazon page with a clear call to action and continuously watching the data and adjusting accordingly to ensure we get the best return on investment. In addition to our skills with Facebook Ad campaigns, we offer a number of creative and marketing services, including; graphic design, content creation, SEO and social media management. You may want us to help you from the ground up with every facet of your online marketing, or even just one aspect of getting your name out there, like our work for Matt with Facebook Ads. Whatever your needs, feel free to call us today! Published by Beyond Words, you can view Color Me Buddha here!